The Bloomsbury Group was as well known for its love affairs as for the work that was produced by its members. Of all the romantic entanglements, the love quadrangle between Frances Partridge, her husband Ralph Partridge, his first wife, Dora and Lytton Strachey was one of the most tortured (Frances loved Ralph, who loved Dora, who loved Lytton, who loved Ralph) - and tragic, ending in the death of Strachey and the suicide of Dora. 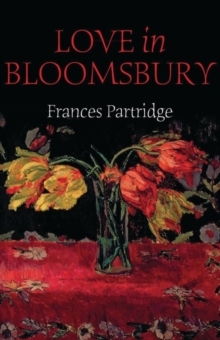 Love in Bloomsbury, Frances Partridge's celebrated account of these turbulent years, describes her Victorian upbringing and tells the story of the star-crossed quartet, two of whom were doomed, the other two survivors. Replete with vivid accounts of parties and infused with the heady, Bohemian atmosphere which flourished after the First World War and revealing character sketches of all the principal "Bloomsberries" - Leonard and Virginia Woolf, her sister Vanessa Bell, John Maynard Keynes and Roger Fry. This is 'Bloomsbury laid bare' - a window onto the lives, loves and excesses of some of the 20th centuries most intriguing, yet engimatic, players.